When we speak of Bihar we are remembered of ancient India when Buddhism was evolving into what now is an universal religion.The Word "Bihar" has been coined from "Vihara" meaning Buddhist Monasteries. At one time in the epoch of history these "viharas" were all strewn over the landscape of Bihar, around villages and cities alike. Patna its capital city today, Patliputra in those times was home to one of the greatest monarchs in the history of the world who ruled over much of the Indian - Subcontinent and extended as far as Iran and Afghanistan to the West.Bihar is the fascinating land of great religious leaders like Gautama Buddha, Lord Mahavir and Guru Gobind Singh. Bihar is the home of Emperor Ashoka who preached "ahimsa" or non-violence and spread the message of Buddhism throughout the world. The tradition of "ahimsa" has been carried into the modern times and the land was witness to the "Satyagraha (or non-violence) Movement" of the Father of the Nation, Mahatama Gandhi. Bihar is situated in the eastern part of India with the Himalayan Kingdom of Nepal to its north and the states of Orissa, West Bengal, Uttar Pradesh and Madhya Pradesh flanking its sides. It is today home of more than 90 million Indians. The state is endowed with an enviable mineral resources base, has some of the finest industries, is country's one of the largest producers of fruit and the second largest producer of vegetables. However, this rich state in terms of natural and human resources and the second most populous in the country has been slow to harness its natural and human resources for the development of the state and its people. This state which gave the nation the first President of the Indian Republic, Dr Rajendra Prasad is taking slow but confident steps to join the mainstream of economic growth and occupy its rightful place in the country's economy in the next millenium. The central region of what is now known as Bihar was called Magadha in ancient days. Its capital Patna, then called Pataliputra, was the capital of the Mauryan empire which ruled over much of the Indian - Subcontinent and extended as far as Iran and Afghanistan to the West. Emperor Ashoka, one of the greatest monarchs in the history of the world, who ruled between 273 BC and 232 BC was the most famous ruler of the Mauryan dynasty. Just north of Magadha across the river Ganges is the Vaishali region. It is here that the first republic of the lichchvis was established even before the Magadha empire reached its peak of glory. To the north east of Vaishali is Mithila, the kingdom of the legendary king Janak. Sitamarhi in Mithila is said to be the birth place of King Ram's queen Sita. Bihar remained an important place of power for about a thousand years. Its importance as the centre of Indian culture and education outlived its importance as the center of Power by another five hundred years or so. 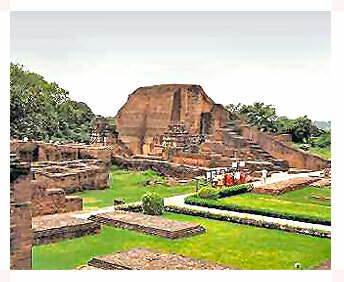 Out of the three ancient universities of India, two Nalanda and Vikramshila Universities were located in Bihar, with third being Taxila in present day Pakistan. These ancient centres of learning were destroyed by the maruading early Islamic raiders around 1200 AD. Bihar is also the birthplace of many religions, including Buddhism and Jainism. The word "Bihar" has its origin in the Sanskrit word "Vihara", meaning Buddhist Monasteries. Buddha attained Enlightenment at Bodh Gaya, a town located in the modern day district of Gaya. Buddha started spreading his teaching after attaining the Enlightenment at Bodh Gaya. Mahavira, the the 24th Tirthankara of Jainism, was born in Vaishali, When we speak of Bihar we are remembered of ancient India when Buddhism was evolving into what now is an universal religion. The Word "Bihar" has been coined from "Vihara" meaning Buddhist monasteries. At one time in the epoch of history these "viharas" were strewn all over the landscape of Bihar, around villages and cities alike. With the advent of the foreign aggression and eventual foreign subjugation of India, Bihar passed through very uncertain times during the medieval period. Muhammad Bin Bakhtiar Khilji, a General of Muhammad Ghori captured Bihar in 12th century and destroyed the ancient seats of learning of this region. During the medieval period, Bihar saw a brief period of glory for about six years during the rule of Sher Shah Suri, who hailed from Sasaram. He built the longest road of the Indian subcontinent, the Grand Trunk Road, which starts from Calcutta and ends at Peshawar, Pakistan. During 1557-1576, Akbar, the Mughal emperor, annexed Bihar and Bengal to his empire and the region passed through uneventful provincial rule during much of this period. With the decline of Mughals, Bihar passed under the control of Nawabs of Bengal. This period saw exploitation at the hands of the rulers in the form of high taxes, but the Nawabs of Bengal also allowed trade to flourish in this region. Some of the greatest melas of the Indian sub-continent, viz., Soenpur Mela which is the biggest cattle fair in India, were allowed to continue and even flourish inviting traders from far and near. After the Battle of Buxar (1765), the British East India Company got the diwani rights (rights to administer and collect revenue, or tax administration / collection) for Bihar, Bengal and Orissa. 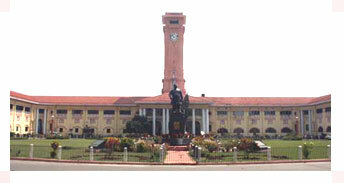 From this point onwards, Bihar remained a part of the Bengal Presidency of the British Raj. In 1912, Bihar was carved out as a separate province. In 1935, certain portions of Bihar were reorganised into the separate province of Orissa. Babu Kunwar Singh of Jagdishpur and his army, as well as countless other persons from Bihar, contributed to the India's First War of Independence (1857), also called Sepoy Mutiny by some historians. After his return from the South Africa, Mahatma Gandhi started the freedom movement in India by his satyagraha in the Champaran district of Bihar against the British , who were forcing the local farmers to plant indigo which was very harmful to the local soil. This movement by Mahatma Gandhi received the spontaneous support from a cross section of people, including Dr. Rajendra Prasad, who rose to become the first President of India.